Join the Appalachian Mountain Bike Club at Baker Creek Preserve for a weekend of bikes, beer, food and music! Group rides for all levels & Bell Joy Ride – Knoxville, TN! Bike Raffle by Transition Bikes & Tennessee Valley Bicycles! Bike demos from a variety of manufacturers! 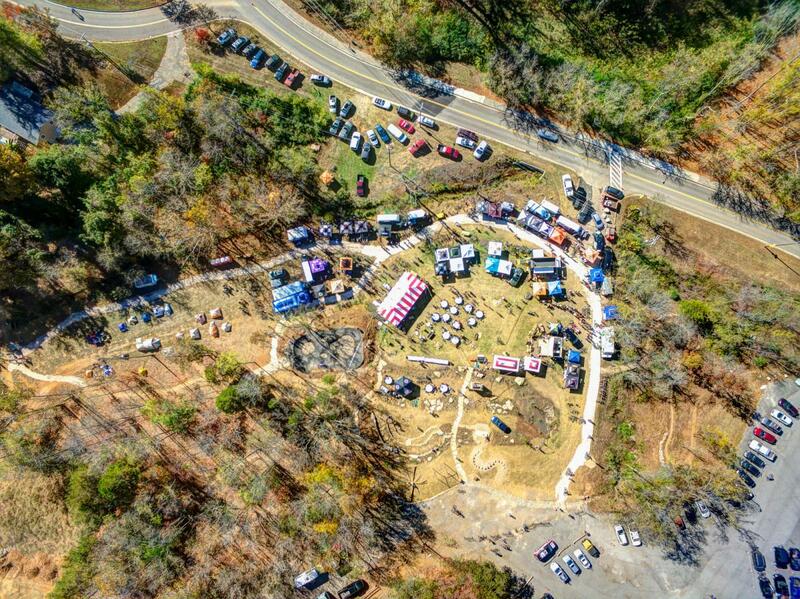 Short Track Race by Dirty Bird Events & Cohutta Adventures! Dinner provided by AMBC, Bush’s Beans & Sweet P’s BBQ and Downtown Diveand Wild Love Bakehouse! Yee-Haw Brewing Companybeer on tap! Square Dance featuring The Spring Lizards & the snappy Stan Sharp calling! Silent Disco brought to you by the AMBC & REII! The latest AMBC rad swag! On-site camping (short walk from the parking lot)! Sunday morning breakfast by SoKno Taco Cantina! Sunday races by Cohutta Adventures! Stay tuned for more information! WOOOP! 8:30AM Demo-land opens – demos ALL DAY! 12PM Yee-Haw Brewing Company BEER GARDENS OPEN! 3PM Red Bull Whip Off! ALL DAY BID ON SILENT AUCTION ITEMS! 5:30PM Square Dance featuring The Spring Lizards & the snappy Stan Sharp calling! 8:35PM BIKE RAFFLE BIG WINNER ANNOUNCEMENT! 11AM Wah wah site clean-up – we’d love a hand! MARK YOUR CALENDARS – NOVEMBER 2, 2019 10TH ANNUAL FALL FEST!